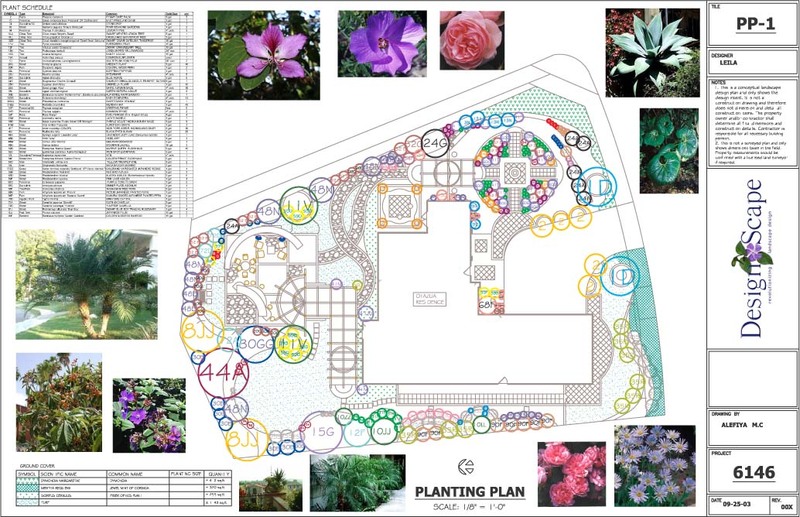 The planting plan identifies all of the plants, trees, flowers, shrubs, grass etc. A good planting is critical for the long term health of any landscape. Our designers identify what plants do well in sunny areas and what plants do well in shady areas; they then lay out the planting plan accordingly. All of the plants trees etc. are laid out in symbols in the plan to identify placement on the property. The next page in the plan is the plant legend which describes each of the symbols.